We accept most private insurance plans, including BlueCross BlueShield, United HealthCare, CIGNA, Aetna, and PHCS. If you have a smaller private plan, chances are we accept it as well, but you may phone our billing department to verify. We also accept most government insurance plans, including Medicare, Medicaid, AmeriGroup, BlueCare, TennCare Select, and United HealthCare Community Plan. 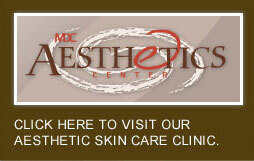 We also offer very reasonable rates for patients without insurance coverage. Please print, read, and sign the form Information Regarding Insurance and Billing Policies, and bring it with you when you come for your appointment. You may print all the necessary forms (privacy notice, registration, and insurance and billing policies) by going to PATIENT FORMS tab at the top of this page. Remember you must present your insurance card on every visit. Co-payments and co-insurances are due at the time services are rendered. Forms of payment accepted by the office are check, cash, and the following credit cards: debit/check card, MasterCard, VISA, and American Express. Managed care has placed enormous strains on both patients and physicians alike. Patients can no longer "come and go" today as they once could unless they wish to be "out of pocket" for medical costs. Every insurance company has its own set of rules and these rules are constantly changing. Since it is extremely costly and virtually impossible to know everything about every insurance company, many physicians will no longer accept insurance. As a result, the patient must file his or her own claim for payment. 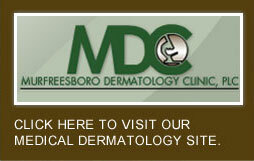 It is our policy at Murfreesboro Dermatology Clinic, PLC to accept your insurance and file claims for you. Please understand this is a service we provide for you because we appreciate your business. If your insurance requires a referral to see a specialist, you are responsible for obtaining this referral prior to your visit. We cannot emphasize strongly enough that it is YOUR responsibility to understand how your medical insurance plan works. You are ultimately responsible for your medical care costs! You may be asked to sign a waiver at the time of your visit. This waiver states if your insurance company does not cover a medical procedure then you will be responsible for the cost of your care. We will assume our role by informing you of the cost of a procedure if we think your insurance company may deny your claim. You can then decide whether you wish to proceed with the treatment in question.